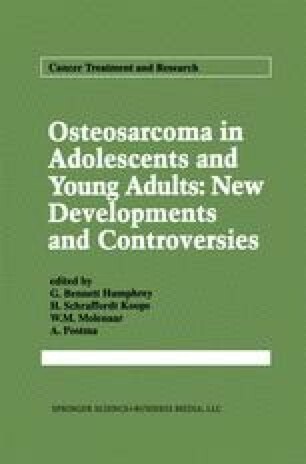 The objective of this chapter is to review the role that doxorubicin (DOX), one of the most active single agents for the treatment of osteosarcoma, has played in the neoadjuvant and adjuvant treatment of osteosarcoma during the past several decades. A brief review of the mechanism of action, pharmacokinetics, and pharmacodynamics of DOX will be presented, since an understanding of these parameters is essential to the optimal use of this agent. Results from recent clinical trials that have incorporated DOX (either alone or in combination chemotherapy regimens) will then be reviewed, and potential strategies to maximize the antitumor potential of DOX in future combination regimens will be discussed. The comprehensive review published in 1988 by Grem et al. will be updated, and reference citation will be limited to the recent literature (1988 to the present).